We had a really great meeting last night. 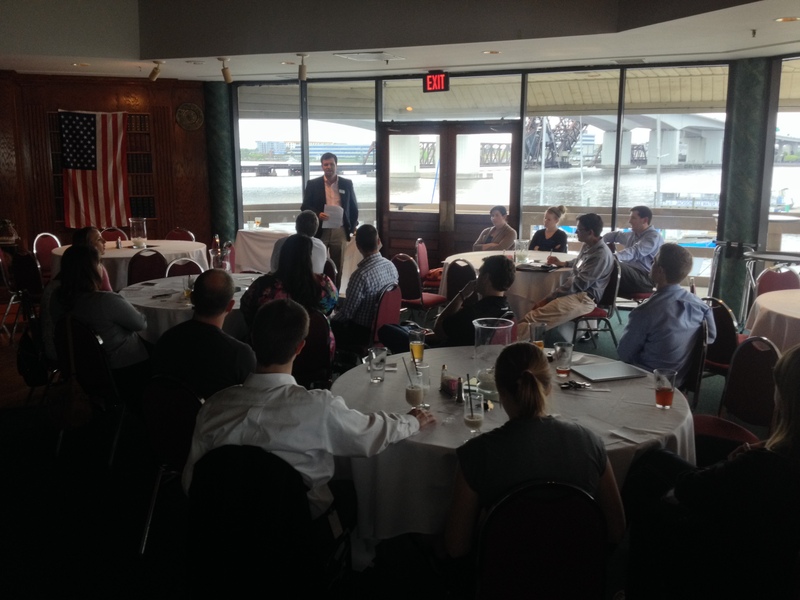 Not only did we have an enjoyable and informative speaker, but we also inducted two new members into our club. David Deviese was a previous Rotaractor who relocated for a job and returned to the area with an interest to continue serving the community. Our other inductee was Maggie Goodhart . She is a fresh face to Jacksonville who was attracted to our social and service combination. 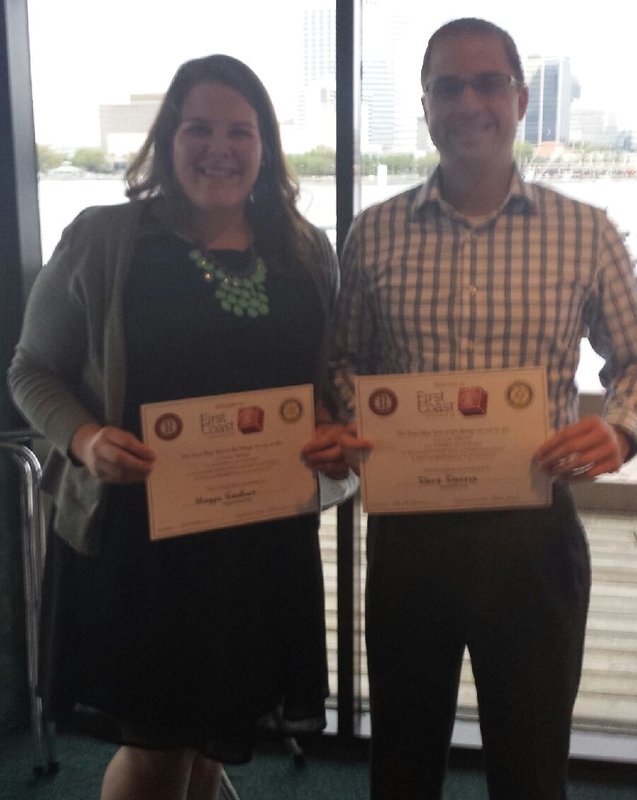 Both will be great additions to First Coast Rotaract. Our speaker for the evening was Chris Folds from Habijax. If you are unaware, Habijax is the Jacksonville affiliate for Habitat of Humanity. Chris came and spoke to us about all the amazing work they are doing for this community. Since their start here in 1989 they have put up over $100 million in “brick and mortar” developments in this community. Currently they are working to help revitalize the New Town area in North West Jacksonville and have made great strides in reshaping that neighborghood. In June they will be doing a blitz build where they will build 25 homes in a single week! A job like this is going to take a lot of volunteers, financially and physically. So if you would like to be part of this great cause please get in touch with Habijax to volunteer.